Caitlin is an experienced instructor qualified in both the CSIA and BASI systems. She has worked in Canada and Switzerland, working for Altitude since 2015. This season will be Caitlin’s 6th and she can’t wait to get back to Verbier. 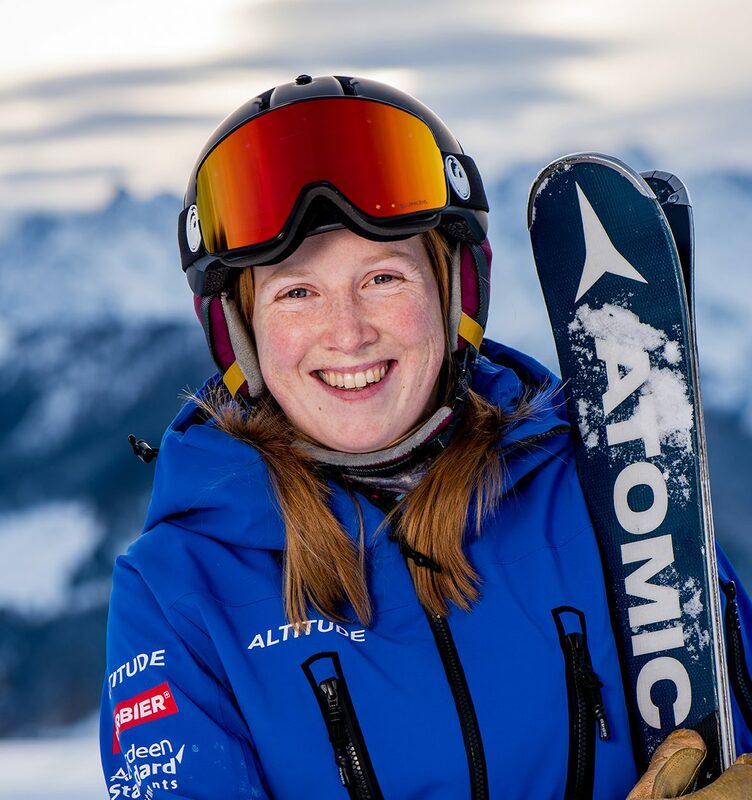 Caitlin loves teaching children and adults alike, being able to further people’s technique and see them improve and grow in confidence – it’s very special! 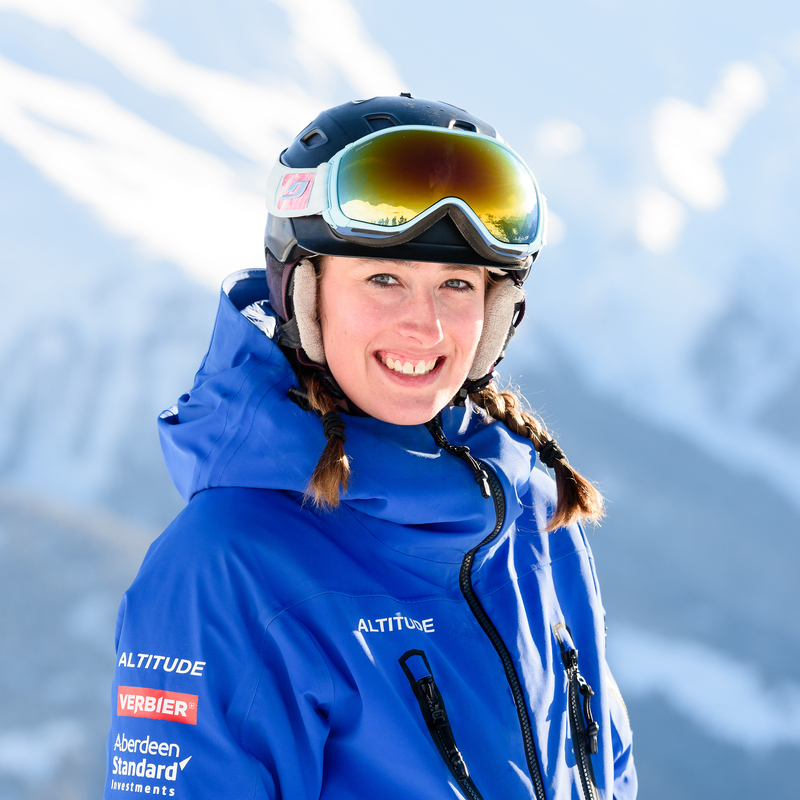 She has worked extensively with younger children in both skiing, and childcare, and uses these insights to enhance her lessons and create a fun, learning environment. Caitlin is positive and enthusiastic and loves sharing her passion for teaching and the sport! During the summer months Caitlin worked in a nursery back home in Scotland. She then treated herself with a safari holiday to Kenya where she got to be the big kid for a change! Client feedback – What has been your best ever feedback? “Your lessons where just superb, we all had a great time. As corny as it sounds you made our holiday. We are very thankful for your kindness of heart and patience” (family with 2 young children, L1 & L3, Verbier April 2017). It summed up my whole experience of being a ski instructor and reminded me straight away of my passion and love for teaching and the sport. I started teaching in Canada and have worked with clients as young as 2 and at all levels. This will be my sixth season. 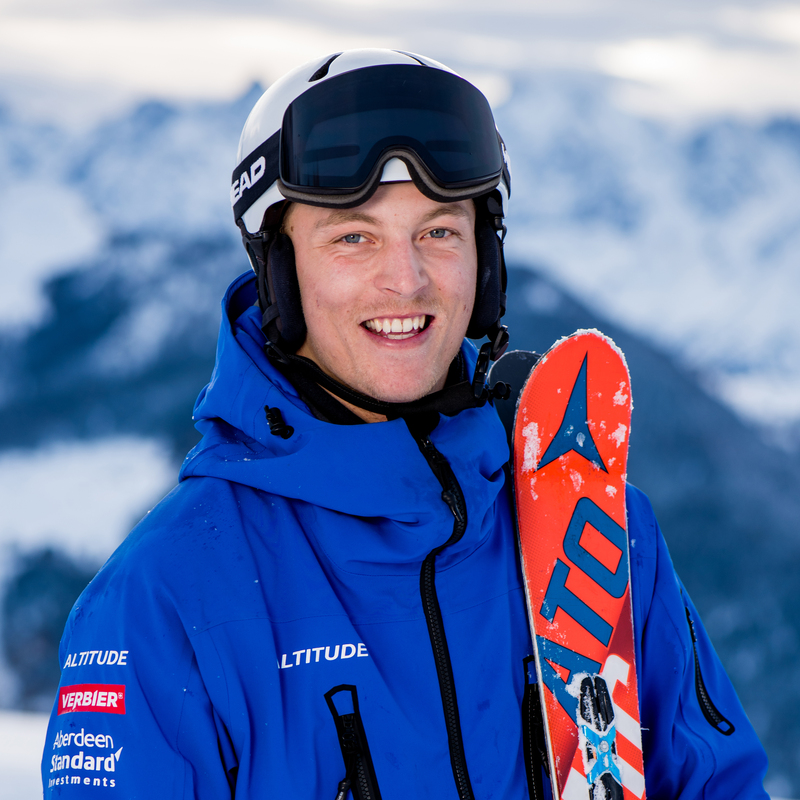 I have a lot of experience with children, and have previously been awarded as Best Kids Ski Instructor. My favourite ages are our polar bear’s 3-5 years old. I love seeing their progression and how excited they are when they get to go up to the big mountain which is such an adventure! However, I love teaching children and adults alike and watching people’s confidence grow! It’s very special! I love working with kids, and this summer I worked in a nursery at home in Scotland. I was given the opportunity to take a large group of kids to the zoo (age 4+). I love the outdoors and wildlife, and this therefore allowed me to merge another two of my passions. I then followed this with a safari holiday to Kenya where I could be the big kid for a change! 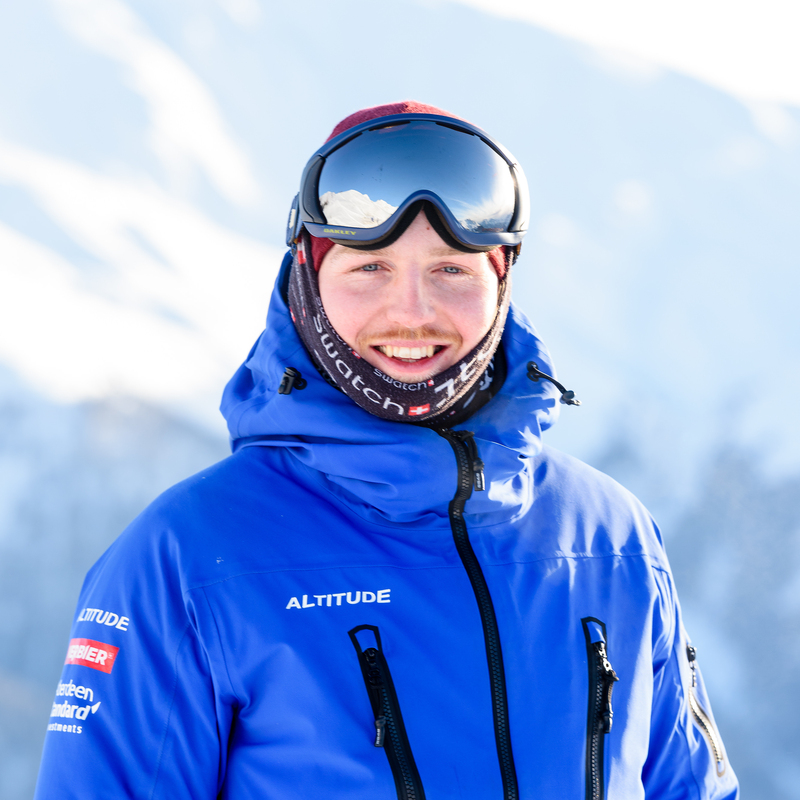 You’ll ski your best when you’re relaxed and having fun – being tense gets in the way of having the movement necessary to edge, carve or do the bumps. I always like to teach my clients to a level where they will always be skiing with a big smile on their faces. Having that enjoyment allows you to explore more and ultimately will allow you to progress a lot faster! I love the loop following the James Blunt Chair lift, down the black which comes out at the Carlsberg and following It down the M25. It’s a fast lift and such a long run! Perfect for leaving clean lines in the snow and a great progressive run in steepness for training and learning. Verbier is a fantastic resort to train and teach in so in my eyes it’s the full package! Le Chaux is a great area for people on their first ski up the mountain. It’s a very exciting adventure for people’s first time up the mountain and a I love sharing that experience with them! Verbier is also a great place to live with lots of bars and restaurants, as well as the cinema and the escape rooms! Welcoming back previous clients. I love being able to further people’s technique and see them improve and grow in confidence each season.